This year's Open House is going to be extra special because it's doubling as the grand opening of our brand new Kitten Adoption Center, and the official unveiling of our improved FeLV room! Sip your favorite beverage and enjoy delicious pastries by Miss Kitchen Witch, as you hang out with adoptable kittens in the new adoption center! The event will feature wonderful plant-based goodies, tours of our Nursery, bottle-feeding demonstrations, giveaways, and an exciting raffle. Of course, all of this includes plenty of time to pet and play with our amazing Sanctuary cats — and we have lots of new residents! 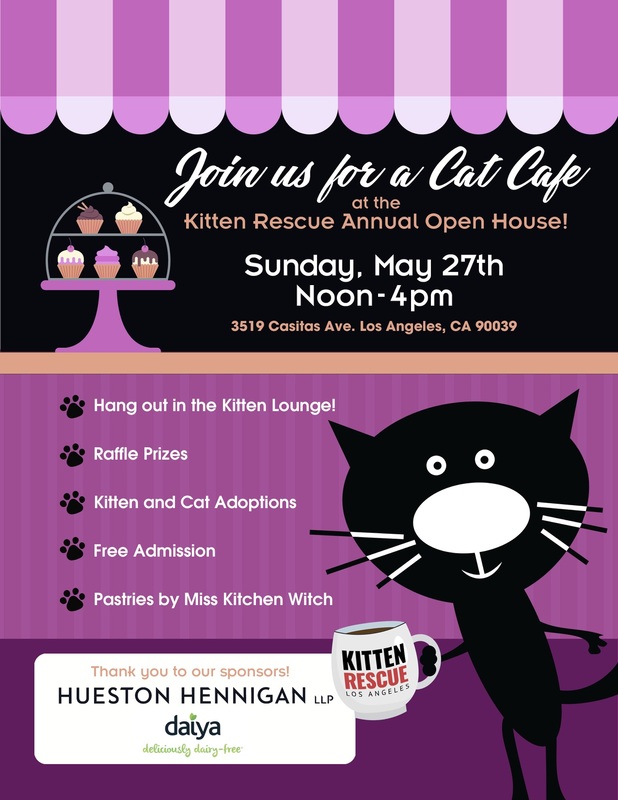 We hope you'll stop by and see all the amazing things that have been happening at Kitten Rescue this year.